If you wish to travel Platinum Cabins, they book out well in advance. so best to book early in order to secure a Platinum Service Cabin. The April 2020 ­- March 2021 is scheduled to be released during June 2019. 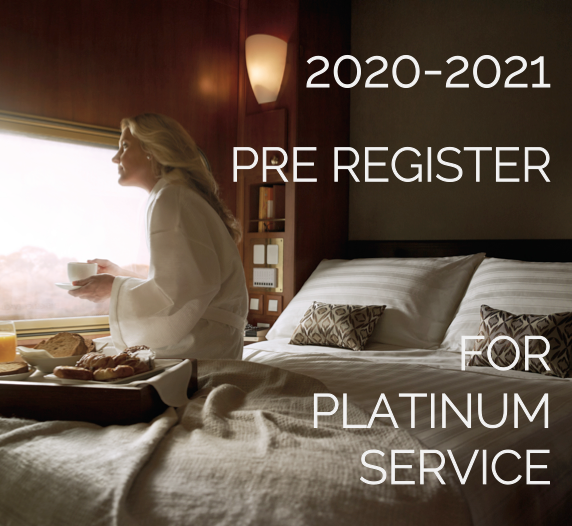 Send us your details of when you want to go and we will ensure we hold a Platinum (Gold Superior or Gold Twin) Cabin for you as soon as its released. This way you’ll ensure you get the cabin you want, on the date you want.